European Space Imaging have partnered with eoVision to produce a book entirely comprised of satellite imagery showcasing the diversity of Europe as seen from space. The book titled Europa - Kontinent der Vielfalt (Europe, the diversity) tells the story of Europe using more than 100 current satellite images to display the present and highlight the past incorporating political, economic and social challenges that are facing the continent. From historical sights of significance that have lasted the span of time to current villages and cities where urbanisation and migration are clearly visible, the satellite images portray Europe in many differing aspects. 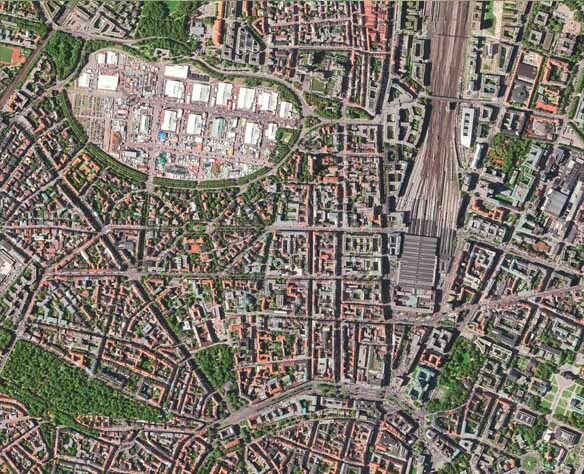 “European Space Imaging is the market leader of very high-resolution imagery across Europe. We are delighted to be able to exclusively partner with EOVision on this project and supply imagery showcasing the diversity of Europe” said Managing Director, Adrian Zevenbergen.